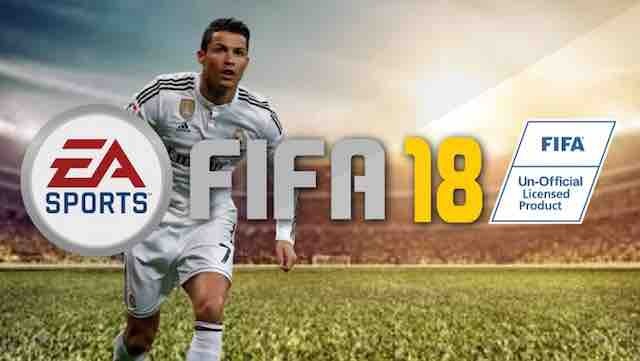 In time for Christmas EA FIFA 18 has arrived in our shops, and the verdict amongst eSports fans is that this sensational new version of the classic football game is the best yet with amazing new graphics and animations, and the best gameplay yet. Starting with the basics, as ever the game is available on PS4, X Box One, Nintentdo Switch, PS3, Xbox 360 and PC at around £41.99. EA FIFA has come a long way in the past few years, with technical additions that haven’t always caught up with each other. Previous issues with crossing and heading have been fixed. And now player actions that previously took too long to finish whilst play continued further up the pitch, meaning you could be dispossessed and find yourself marking time waiting for your player to get up while the opposition scored, have all been fixed too. In gaming terms, FIFA has unlocked the animations, and this means that everything happens in a smooth transition and the action is more responsive and feels much more like a real game of football that you are watching on Sky Sports than it previously did. And this surely is what we are all aiming for. Take shielding the ball for example, where a player stops another from tackling. The moves here are much sharper. And the same goes for sprinting and dribbling with the ball where the moves of the feet are slick and clever. And on top of all that, it feels like the speed of your players is now a defining factor in the success of your attacks. Take a player like Mbappe – he will skin any defence, and how your opposition plays their defensive line strategically will decide the result of a game. Put all this together and you have a wonderful game where you can string together amazing passing moves worthy of any Pep Guardiola side. Watch as your team slices open an opponent in a matter of 4 or 5 superbly crafted slide rule passes. And all this happens under the shimmering lights of whatever stadium in whatever country and continent you choose to play in. Alongside the gameplay is the offline modes. In the manager career mode you can do superb things like negotiate a transfer with another manager. Watch them walk into your office and then submit bids and fees and come to an agreement. There is also a Squad Battles feature in which you can take on another players’ squad in AI mode. The advantage is you don’t have to play in realtime for money. This mode can be played over a week where you measure yourself against other players’ squads and earn points depending on their skill ratings. At the end of the week your scores are tallied and you enter a leaderboard and earn rewards. This is without doubt the best EA FIFA version to date. So many of the old issues have been ironed out, and with new stunning, even more lifelike graphics, it’s a joy to play.